Ricky Vargas is the first in eight years to challenge Jose Cojuangco in the POC elections. 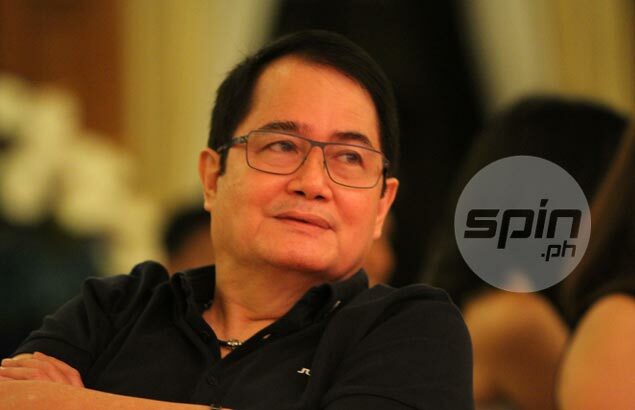 ASSOCIATION of Boxing Alliances of the Philippines (ABAP) president Ricky Vargas branded as flawed the process by which the Commission on Elections of the Philippine Olympic Committee (POC) disqualified him to run for president in its coming election. Vargas stressed the point in his motion for reconsideration filed before the POC Comelec headed by Frank Elizalde, the former International Olympic Committee (IOC) representative to the country. In his four-point petition, Vargas cited the lack of due process, 'both procedural and substantive' on his part when he was disqualified to run for president against incumbent Jose 'Peping' Cojuangco during the POC General Assembly on Wednesday. Vargas said first and foremost, the decision was made without any objection or opposition from a known third party. At the same time, it was hastily rendered without the basic requisite hearing having been accorded to him. The former Maynilad executive also noted the absence of a written resolution to date from the election committee specifying and explaining the grounds for the exclusion, the disqualification just made through a verbal declaration in public. Vargas and party mate Bambol Tolentino of cycling, who is running for the position of chairman, were both disqualified by the election committee for not being ‘active members’ of the POC general assembly. “Active member is at best a nebulous eligibility requirement that has been left undefined by a clearcut set of parameters and criteria in the POC by-laws,” said the 64-year-old Vargas in his petition. The grandson of the late sportsman Jorge B. Vargas, founding member and former president of the Philippine Amateur Athletic Federation, forerunner of the POC, added active membership is more than attendance. Physical presence at the general assembly does not equate to active participation. “The arbitrary and whimsical interpretation applied by the election committee unjustly prejudices the substantive rights of the Abap and Ricky Vargas. It is too simplistic,” the letter contained.